Samsung is ready to release its new C series model in to the market, it would probably be Samsung Galaxy C5, it is anticipated to have more advanced features then the previous models of Samsung Galaxy series, here are all the expected features, specifications, expected date of release and expected price in India. This new beast Samsung Galaxy C5 from Samsung is coming with a long 5.20 inch super AMOLED capacitive touch screen and has 1080 x 1920 pixels resolution, the screen is protected from breakage by manufacturing it using the strong, tough corning gorilla glass 4. It is built on Android 6.0.1 Marshmallow operating system and has 4 GB RAM, 1.2 GHZ octa-core processor for multitasking with ease. It has a internal memory storage up to 32 GB and 64 gb variants and it can be expanded up to 128 GB using a MicroSD card. It is provided with a 16 MP primary camera with OIS, auto focus, LED Flash and a 8 MP front camera for high resolution self capturing pics. It is powered with a 2600 mah powerful battery for long battery life. As far as connectivity options are concerned it has all the basic connectivity options provided by a smartphone i.e. WI-FI, Bluetooth, 3G, 4G, hotspot and WI-FI direct, it has Fingerprint, accelerometer, gyro, proximity, compass sensors in it. 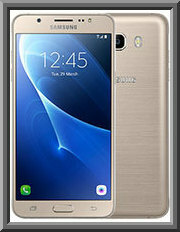 Samsung Galaxy C5 is expected to be released by end of MAY 2016, it has already been released in other countries and it is expected to cost around 23,000 INR, it may differ according to the company measures.